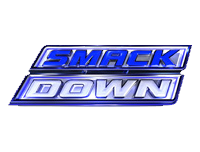 The 23rd March 2012 episode of Friday Night SmackDown! starts with Daniel Bryan and AJ making their way to the ring, where the first thing that Bryan wants to say is “Yes! Yes! Yes!”. He continues by saying that he could talk about himself all night, but he is going to put AJ on the spot and asks her to tell everyone what it is like to be the World Heavyweight Champion. She starts by talking about having a match later on which Bryan will be in her corner for, but he interrupts her and tells her to just answer the question. AJ says that it’s heaven, as he says that though nobody knows it, Bryan caresses her, has the softest lips, and she says that sometimes at night, they spoon. She continues, but makes the mistake of calling him “Danny”, which makes him interrupt her again and tell her that they have discussed about not calling him that in public, that his name is “Daniel”. She says that Daniel Bryan is brave, courageous, generous, and as a vegan his body is his temple, and his mind and spirit are pure. AJ says that above all of that, she makes him feel safe, and that is why she really enjoys cuddling, and after prompting from Bryan – though she finds that information to be a little personal – she says that he is a great lover. After being prompted again by Bryan, she says that at WrestleMania Bryan is going to make “that big, Irish brute” (referring of course to Sheamus) tap out, and therefore will continue on his path of becoming the greatest of all time. Bryan asks to hear it for AJ, and more importantly to him, for himself too, yelling “Yes!” in celebration before walking towards the ropes ready to leave, only to be interrupted by Sheamus’ music hitting and him making his way to the ring. Sheamus says that he has no disrespect for AJ, but before he came out, he actually threw up in his mind. He asks if she really thinks that Bryan is brave and courageous, to which she nods, but he says that he himself thinks that Bryan is a snivelling coward. As for Bryan’s lips being soft, he chuckles that he doesn’t even want to go there. Sheamus says that where he does want to go is WrestleMania, because if Bryan doesn’t like being called “Danny” – prompting him to interrupt and say that his name is “Daniel” – then he calls him “Danny-boy” instead. Sheamus says that if Daniel Bryan doesn’t like being called that, then he surely isn’t going to like being called “Former World Heavyweight Champion”, and he says that at WrestleMania, he is going to kick Bryan’s teeth down his throat. After a video recapping the end of the match between David Otunga and Santino Marella, as well as its aftermath, on Monday Night Raw (click here for our Raw report), R-Truth takes on Mark Henry in a match which sees Henry get the victory, when he counters R-Truth’s cross-body attempt by catching him, and hitting him with the World’s Strongest Slam for the 3-count. After a video announcing Yokozuna as the latest person to be inducted in the 2012 WWE Hall Of Fame, and a video recapping Zack Ryder’s “Ryder Rally” on Raw, an interaction backstage involving Kofi Kingston, Santino Marella, Teddy Long, Aksana, Zack Ryder, The Great Khali, and Hornswoggle sees Ryder and Khali get added to “Team Teddy”, with Hornswoggle added as the mascot. Back in the arena, Brie Bella (accompanied by Nikki) is pitted against AJ (accompanied by Daniel Bryan) in a match which sees AJ get the victory, when she avoids a shot from behind by Brie (which subsequently knocks Nikki off the apron) and rolls up Brie for the 3-count. Afterwards, Nikki grabs a microphone and says that Brie probably should have taken her advice. She continues by saying that the WWE Universe may not know that she and her sister actually disagree on a lot of things, such as at WrestleMania, Brie is rooting for “Team Johnny”, whereas Nikki is rooting for “Team Teddy”. To show her support for “Team Teddy”, Nikki acts like a cheerleader and spells out “Teddy” with the help of the crowd. After a video recapping the tag team match between the team of Kofi Kingston and R-Truth and the team of Dolph Ziggler and Jack Swagger on Raw, as well as its aftermath involving Aksana and Vickie Guerrero, Jack Swagger (accompanied by Vickie Guerrero) goes against Zack Ryder (accompanied by a “Team Teddy” flag-waving Hornswoggle) in a match which sees Ryder get the victory, when he takes advantage of Swagger’s distracted state and hits him with the Rough Ryder for the 3-count. After a video recapping the events on Raw involving Cody Rhodes and The Big Show, and a video of Matt Striker interviewing Cody Rhodes earlier in the day, in which he reaffirms that he is going to beat The Big Show at WrestleMania, The Big Show takes on Kane in a match which sees The Big Show apparently get the victory as a result of a disqualification, when Cody Rhodes appears and attempts to attack Show. Show manages to fight Rhodes off, and starts to chase him through the crowd, to no avail as Rhodes is just too fast. Looking back to the ring, Randy Orton enters it and hits the rising Kane with an RKO, after which he celebrates. Next up, “Funkasaurus” Brodus Clay (accompanied by Cameron and Naomi) is pitted against Heath Slater in a match which sees Clay get the victory, when he hits Slater with a big splash in the middle of the ring for the 3-count. After an interaction between Eve Torres and Zack Ryder in which she twists his words and tricks him into thinking that she is offended, thus giving her an excuse to cancel their dinner together, a video recapping the events on Raw involving Shawn Michaels, Triple H, and The Undertaker, Christian joins commentary as The Great Khali (accompanied by Teddy Long) goes against Dolph Ziggler (accompanied by David Otunga and John Laurinaitis). The match sees Ziggler get the victory according to Laurinaitis, when he rings the bell as soon as Ziggler puts a sleeper hold on Khali. Long doesn’t like this, and says that things don’t happen like that around here, and that Ziggler has until a count of ten to get back into the ring, otherwise Khali will get the victory. Ziggler stays where he is, so the referee makes the ten count and Khali is indeed declared the winner. Afterwards, Santino Marella and Kofi Kingston rush down the ramp and throw Ziggler into the ring, where he walks straight into a chop to the head from The Great Khali. Now, CM Punk and Sheamus take on The Miz and Daniel Bryan (accompanied by AJ) in a tag team match which sees Sheamus get the victory for his team, when he hits The Miz with a Brogue Kick for the 3-count. Punk and Sheamus celebrate in the ring, while Bryan watches on from the ramp with AJ, as SmackDown! goes off the air.